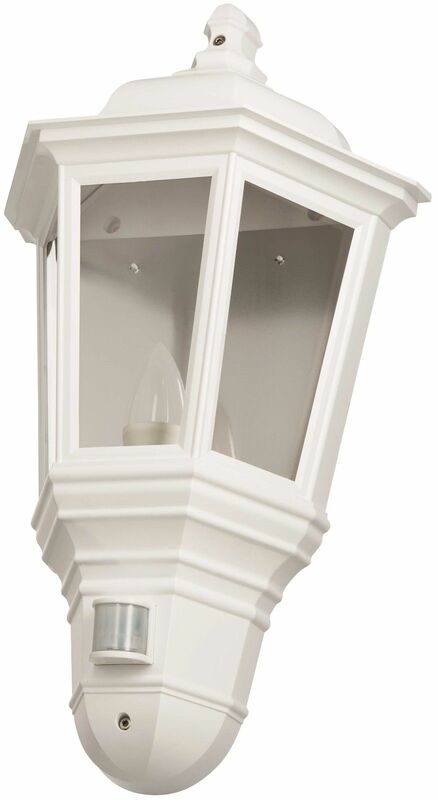 A range of decorative outdoor LED Lanterns available with PIR switching and matching standalone models. Units are supplied with a 4W LED candle lamp emitting 335 Lumens of warm light which are ideal for door entry/ exit applications. Matching slave units have an additional versatility of top or bottom mounting(Full Carriage Lanterns) with up to 5 slaves (using the 4W LED lamp supplied) per PIR connection.